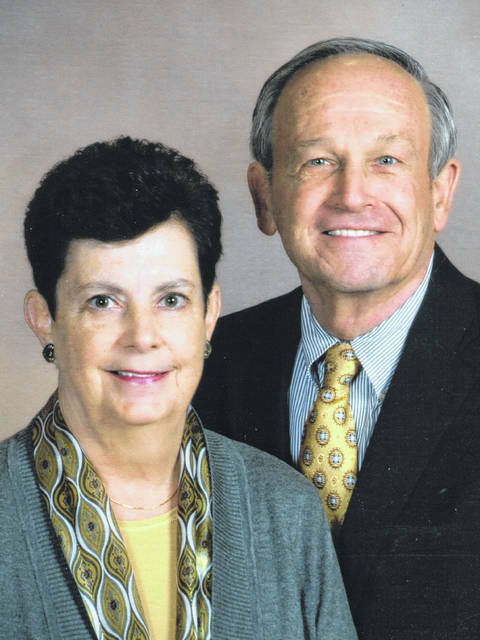 LIMA — Mr. and Mrs. Dale Laukhuf are celebrating 50 years of marriage with a family trip planned for later this summer. Laukhuf and the former Marcia Arn were married June 15, 1968, at Trinity Lutheran Church, Convoy, by the Rev. Dean Cheek. They are the parents of two children, Jeremy, of Travis Air Force Base, California, and Kent, of Leesburg, Virginia. They have eight grandchildren. Laukhuf retired from Bath schools and Rettig Music. He is an adjunct instructor at ONU. His wife is a retired medical technologist.